What does it take to change everything? Technology that’s great, not expensive. Technology that helps people change the world on their own terms. Technology that makes the world a more inclusive place, where smart and connected is an equal opportunity. Technology that enriches life and gives you the power to chase dreams. That’s why we work with the brands you love to power 1.5 billion devices a year – across home, auto and mobile. At MediaTek we know technology changes lives and a changed life can change the world. And it all starts with a chip. Our chips change everything. We build technology with humans in mind to enhance and enrich life. Innovation isn’t about specs. It’s about connecting you and your devices to what matters and the things that shape your world. We design chips to keep up with you. To connect you to information, people and experiences that make you smarter, healthier and improve everyday life. Simply, we power possibility for the world’s billions of people to explore their true potential – what we call Everyday Genius. In your hands, our chips change everything. Chances are good you already have MediaTek in your life. Our chips are everywhere you need us to be. In brilliant smart TVs you watch. In routers that magically send Internet through the air. In voice assistants you talk to and tablets with touch screens. In the mobile phone that’s always with you. MediaTek is the world’s 4th largest fabless semiconductor company. Our chips are inside more than a billion devices a year across home, auto, mobile and more. So it’s likely we’ve met before. And we look forward to being in your future. Our chips change right along with you. Change is constant. The way we connect with people and the world around us changes. The way we work, the way we create changes. We need our devices to keep up. For MediaTek, comfort is living on the edge of innovation to deliver chips with brilliant design. Chipsets that deliver high-end features and performance so more people than ever can have access to devices that offer premium experiences without the premium price. Brilliance starts with the engineering. Genius begins when the brilliance fuels your imagination and connects your world in new ways. This chip changes everything you touch. MediaTek knows multimedia – after all “media” is part of our name. The latest in home entertainment and smart homes requires vivid, Ultra-HD HDR images, incredible sound quality, and flawless connectivity. Our chips make it possible to get the content you want, in the highest quality formats, quickly and affordably. We are the global market leader in home entertainment products from digital and smart TVs, optical and Blu-ray players to routers and the newest Voice Assistant Devices (VAD). This chip changes everything about how you can do more, watch more, share more and connect more in and out of your home. Discover the difference that MediaTek Helio can make. From faster processing speeds to extended battery life to more responsive performance and sharper, more colorful photographs and videos. A new category of devices is driving features and consumer expectations forward with advancements in power, performance, AI, and connectivity. Consumers are looking for the New Premium, devices that push against the edges of what a smartphone can be and do. MediaTek brings the new premium to life with high-end features at a mid range price so everyone can have a premium device. Say hello to MediaTek Helio. This chip changes everything when it comes to mobile. The next wave of cars will do more of the driving and see the road for you. 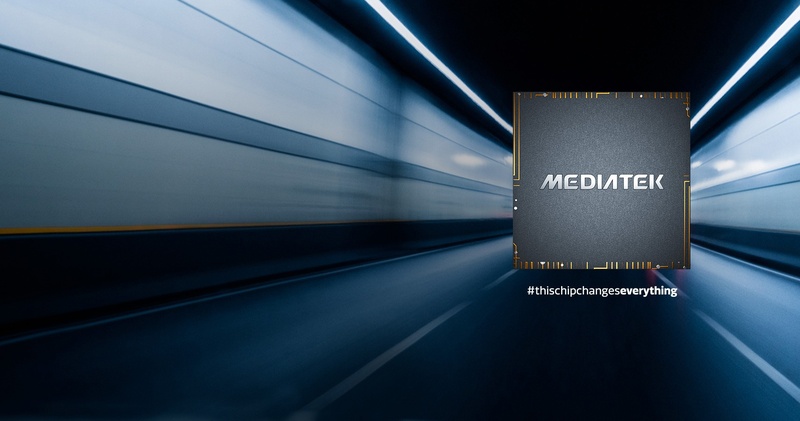 Automated driving is the next frontier for MediaTek and this chip changes everything under the hood. Autus, our suite of automotive and automated driving solutions, uses artificial intelligence, mmWave, machine learning, and advanced visual processing solutions. Our technologies give you the latest in navigation and infotainment innovation. And we deliver the most power possible – while being super power-efficient to extend battery life. MediaTek is delivering the technology that powers your ride. This chip changes everything for you on the road and in the car.